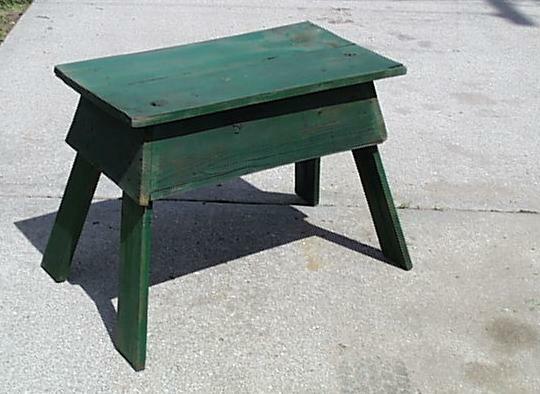 The items listed on our Benches page are available in the following colors: Black, Patriotic Red, Country Mustard, Deep Forest Green, Sage Green, Burgundy Red, Country Blue, Dark Blue, Antiqued White. Our small benches are approximately 16 inches in length, 12 inches high and 10 inches wide. Available in all of our listed colors, aged to look as though it has had loving usage in the last few decades, this is a great bargain for the price. 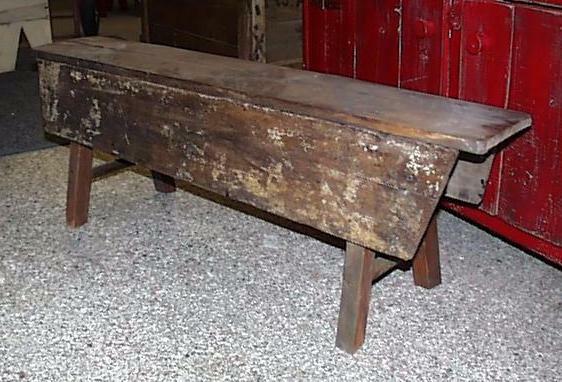 These benches have angled sides and splayed legs which make them an interesting item for a home decorated with primitives. Approx. measurements: 18 inches tall, seat 13 inches wide, and 21 inches long. One of our bench designs which is always in demand. This is the greatest prim bench, and we have it available in natural aged wood as well as the painted colors listed above. It has a seat which is narrower at one end than the other. 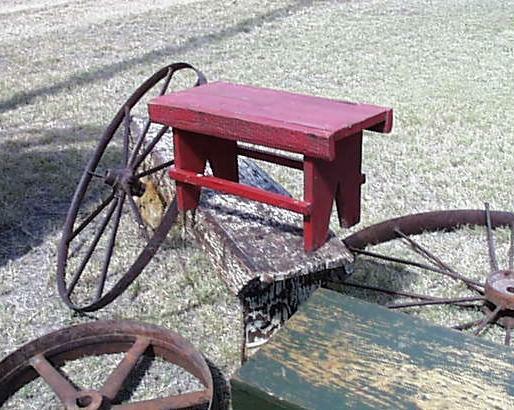 The bench is approximately 32 inches long, and is 16 inches high. Seat is 10 inches wide at the widest, and 8 1/2 at the narrowest. Legs are square, with a round spacer between the legs. Sides slant out. Really a neat item!